Anne Fulwood is one of Australian television’s best-known and most respected journalists and media identities. For more than 20 years Anne was a presenter/producer and host of news and current affairs programs on the Seven and Ten Networks and now operates her own media consultancy company, Fulworks Australia. Since leaving television Anne Fulwood has been in the business of establishing highly recognisable brands at the highest level of media in Australia, and of delivering commercially successful programs or products. Anne is an engaging, entertaining and accomplished host, facilitator and MC. She is also a much sought-after keynote speaker on topics ranging from foreign and current affairs, business, politics, conservation and environment, sport, the wine industry and the media. She has also developed a strong presentation on the art of communication and ‘how to walk your talk’ with authority and confidence. Anne Fulwood has achieved high recognition and respect within the media industry and across the corporate, government and community sectors. In her media and corporate communications roles, Anne has developed a reliable instinct for community opinion, an ability to get to the point of the message very quickly, and the skills to disseminate information and impart it very effectively. Anne provides advice on communications strategies and on communications training for executives and enterprises of all types, from commercial to community. As a polished and high-profile national media identity, Anne is in a unique position from which to build relationships, canvas and gauge public opinion, and develop strong and authentic connections and communications across all levels of business and the community. 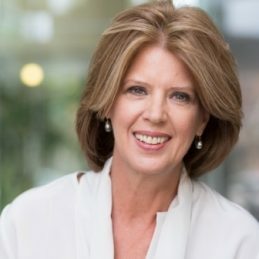 Highly respected as a master of ceremonies and presenter, Anne was a long-time MC of the Tourism Council Australia’s breakfasts, hosted the Telstra Business Awards for 10 years and was MC for the Prime Minister’s Luncheon for the Millennium Forum in 2001. She was appointed Commonwealth Government spokesperson for the APEC Forum in Sydney in 2007 and more recently presented a series of videos for the Australian Stock Exchange. Anne’s ‘Enterprising Women’ column launched by the Australian Financial Review in February 2012 further enhances her reputation in the wider business community. Anne is an Ambassador for the Telstra Business Awards and has also developed a series of Business Q&A events, highlighting enterprising Australians. Comfortable with both serious and light issues, Anne Fulwood is an excellent keynote speaker or master of ceremonies. Her warm, down-to-earth style, ability to engage with people, her outstanding professionalism, fabulous sense of humour and broad range of interests make her ideal for any occasion.